05 Amp is a 50 watt power amplifier with a custom made transformer and 70 µ (micron) PCB cobber thickness. It plays beautifully and has an extremely open soundstage – especially for an amplifier in this range. It is perfect for easily driven speakers. 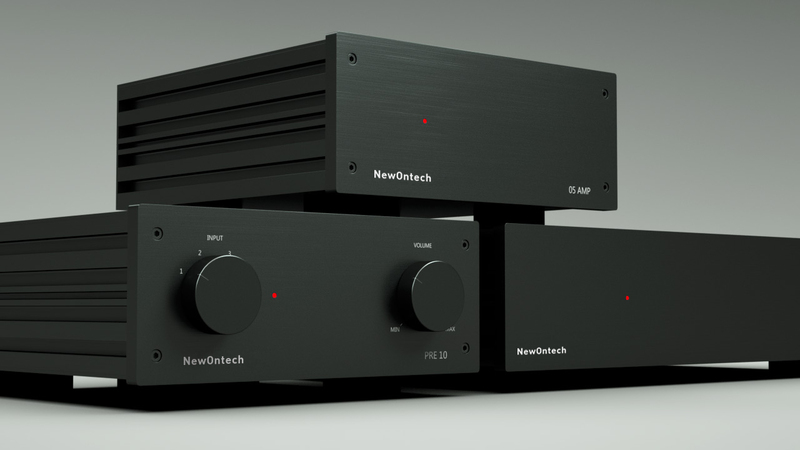 PRE 10 is a preamplifier for our other components. There’s 4 phono inputs and 2 amplifier outputs. Inside is a high-end pot-meter for volume control and a custom-made transformer. Inside the unit there’s Van den Hul silver wiring where deemed necessary. PSU10 – CAP10 is a powersupply unit and capacitor bank for the PRE 10 and/or DAC. It supplies a steady and powerful current to the connected units to enhance sound quality and also deepens the sound stage dimension.